As one of the top global trading platforms, eToro consistently offers a variety of tools and features that set it apart from its competition. The company’s social trading features, alongside its ever-expanding list of assets which now includes cryptocurrencies and crypto CFDs, give traders a bevy of tools with which to reliably and effectively manage their investments. The company opened trading for cryptos in 2017 and has since seen its trading volume for Ethereum and Bitcoin explode in popularity. Thus, eToro is becoming one of the most accepted gateways to gain exposure to the cryptocurrency market with the backing of a strong platform. Built for both beginners and advanced traders, it’s nonetheless vital to understand how to get started and master eToro’s platform to ensure your investments generate best returns achievable. Getting started with eToro takes a few minutes initially, and starts with entering your personal details, including your full name, email, and your local phone number. 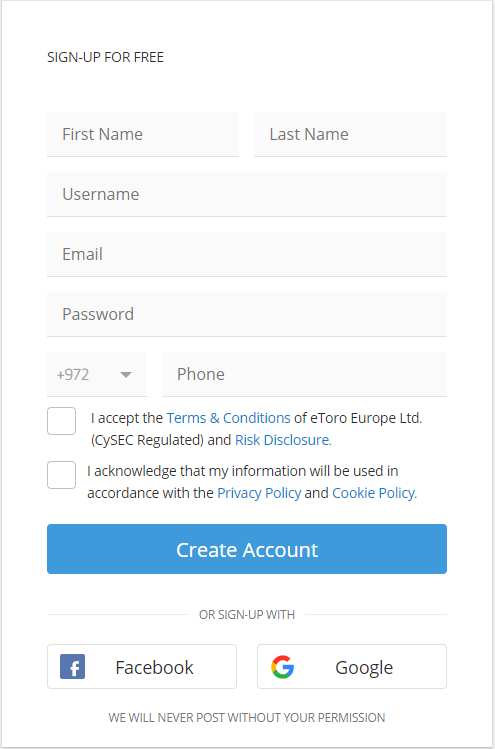 At this point, you will also be asked to accept both eToro’s terms and conditions, as well as the company’s risk disclosure. 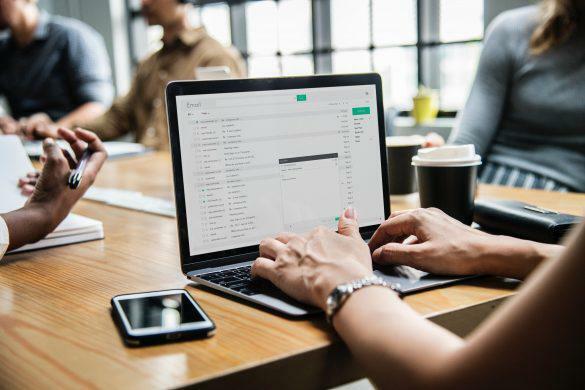 The verification process involves adding more personal information, including personal contact details, your passport or identification number, as well as a phone number and physical address. 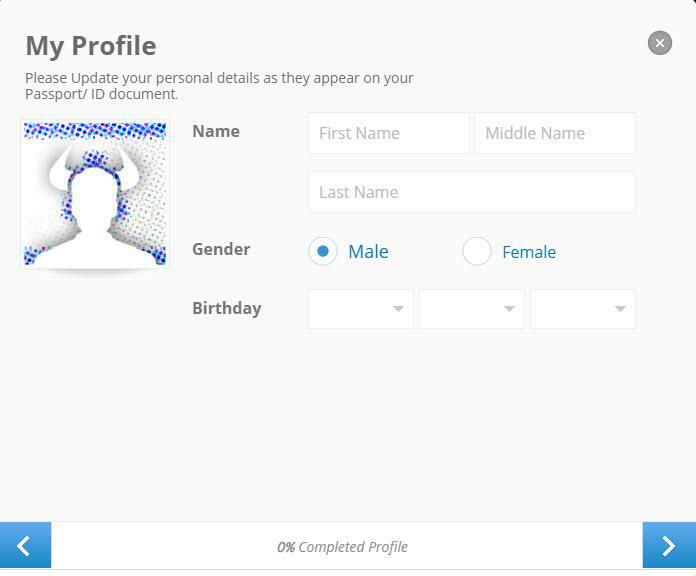 Additionally, eToro’s verification and profile completion process is designed to help tailor your trading experience. As such, the form includes questions about users’ trading expertise and education, as well as a quick knowledge assessment to determine your grasp of financial trading, and your desired level of trading activity. The next step in the process is to finish your official verification. The first part involves an SMS sent to your phone with a code which you must input into your profile. Afterwards, you’ll be asked to upload a photo of your passport or photo ID, a utility bill or bank statement, and your tax ID number for verification purposes. After submitting all the relevant documentation, eToro takes up to 7 business days to verify and remove any limitations attached to the profile and account. eToro enables you to deposit fiat currency into your trading account for investing and purchasing cryptocurrencies directly on their site. Click on “Deposit funds” in the left sidebar of your profile main page. This will take you directly to the deposits page. Select the funding amount and accompanying currency you would like to deposit. It’s important to note that eToro’s minimum deposit amount ranges between USD $200 to $10,000 depending on your geographical region and account type. Pick your preferred payment method. You can choose from credit/debit cards, PayPal, wire transfer, Skrill, NETELLER, WebMoney, Yandex, Union Pay, or promotional lines of credit. 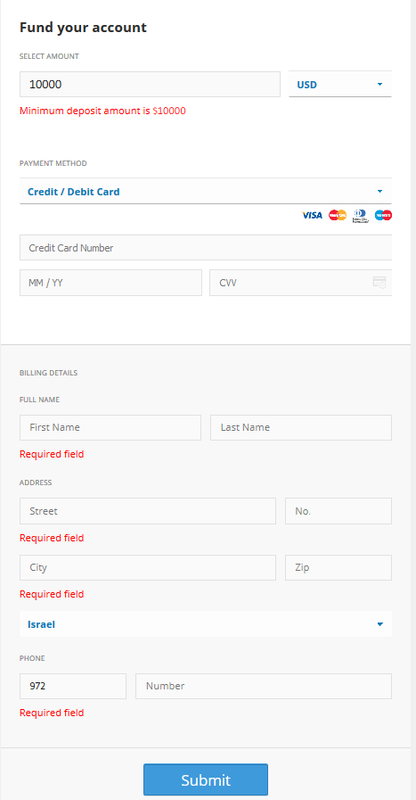 Complete the form, and you will see the funds appear in your account once your transaction is verified and approved. eToro grants platform users access to a variety of different instruments including cryptocurrencies and crypto CFDs. To purchase coins or tokens, start by clicking on “Trade Markets” on the sidebar to the left of your screen. This will take you to the top assets available on the eToro platform. 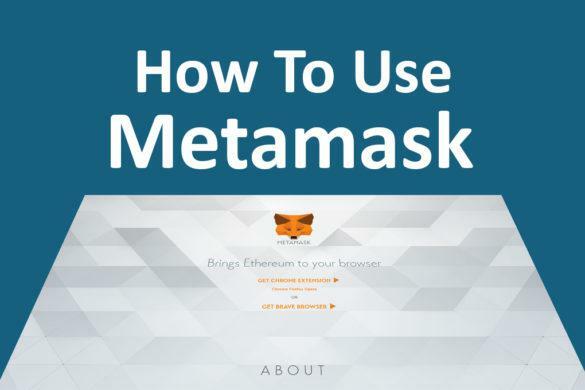 Start by selecting “Crypto” from the top of the page, and you’ll be taken to the platform’s crypto listings. Here, you can see each coin’s current price, its percent change, as well as a small moving chart highlighting its price action and the current social sentiment around the coin. To initiate a purchase, simply click on “Buy” next to your preferred crypto. When you open a purchase menu for any coin, you’ll be able to choose between making a trade (purchasing the coin at the moment) or placing an order at a specific rate. Choose how many funds you would like to allocate to make the purchase, or alternatively choose the number of coins you wish to purchase (eToro will handle the conversion). Once you’ve set your desired levels, press “Buy” or “Set Order” to complete your transaction. If you have insufficient funds, you will be taken back to the deposits screen, where you will be asked to deposit more fiat currency to satisfy the order. The process for selling your crypto assets on eToro is the same as the one for purchasing. Instead of clicking “Buy” on your preferred cryptocurrency, you can simply press “Sell”. You cannot move your crypto assets from your eToro account, but the platform lets you withdraw funds from your account at any time. Once the menu is open, click on “Withdraw Funds” on the left sidebar on your screen. Select the amount you wish to withdraw, in fiat currency. There is a USD $50 minimum for withdrawals, but you can withdraw up to your full balance in a single transaction. It’s important to note that you cannot withdraw funds from your invested equity, so any assets must be converted to cash prior to extracting your funds. To withdraw crypto holdings, you must trade them back into fiat on the Trade page to free them for transfer. You can explore your balance on this screen by checking your withdrawal balance (the funds you can actively withdraw), your total balance (the sum total of all your free holdings on eToro), your cash equity (the amount you can withdraw if you close all your positions), and your total equity the value of all your funds, both invested and non-invested. Press “Submit” and wait for the transaction to clear. You can keep track of your active and past investments in a few ways with your eToro account. The easiest way to examine your current holdings is to view your portfolio, which you can visit directly from your homepage. Once there, you can elect to see your order history, which includes a breakdown of each transaction’s monetary value, as well as a nifty bar on the bottom of the page that measures your available funds, total allocated, and your profits. From your profile, you can also check your pending orders. 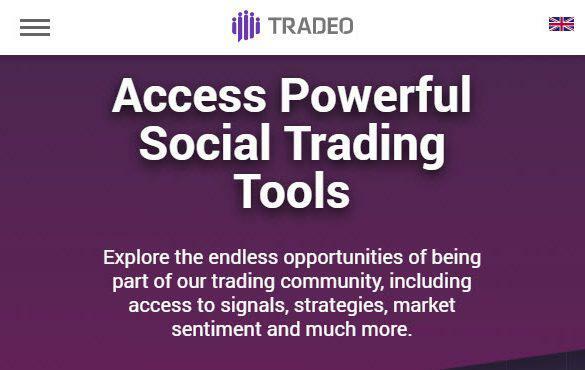 Take full advantage of Social Trading features: This is an especially useful feature for beginner traders seeking guidance on the best investment and trading strategies for both crypto and traditional assets. Traders can see how professionals and other high-level users invest and choose to follow their strategies with “CopyTrading” that allows them to imitate successful strategies. Easy to Use and Easier to Learn: Unlike other web-based trading platforms, eToro offers an array of easy to use tools and trading solutions. 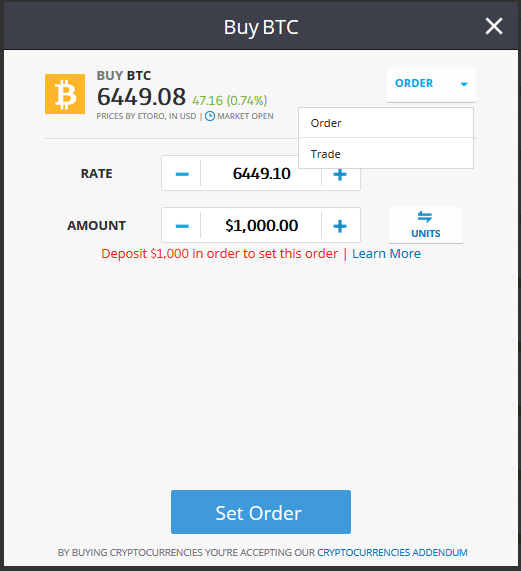 Users can make trades, deposit funds, or check their portfolio with a single click. Moreover, each section includes explanations, and eToro has put serious work into creating tutorials and guides for every aspect of their online platform. Risk-Reward ratios can be limiting: While eToro is user friendly and accessible in terms of trading, it does place some restrictions on users, which may be problematic for more advanced traders. One of the biggest is a limited of risk-reward ratios which cannot be modified beyond pre-established ranges. This means that some riskier strategies may be unavailable for high-level traders. No Stop-Loss or Take-Profit for Cryptos: Much like the limitation on risk-reward ratios, users who are outright purchasing cryptocurrencies cannot establish stop-loss or take-profit limits on their orders. This is not a big problem for beginners, but it can result in losses for users who are not constantly monitoring their investments and prefer short-term strategies. 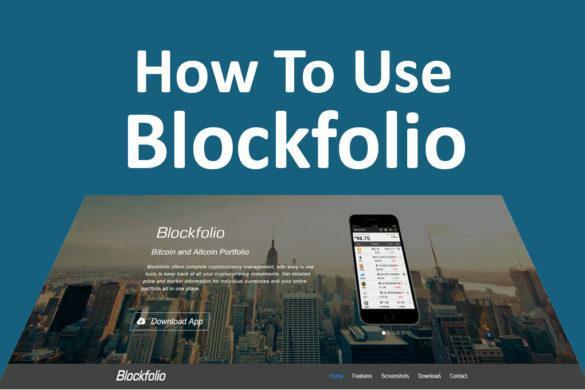 This guide is meant to help you create your account and start trading as quickly as possible, without putting yourself or your finances at risk. eToro remains one of the most respected names in online trading, and the company’s recent embrace of cryptocurrency trading opens the doors for a multitude of traders to gain exposure to the market. While it may not provide the advanced crypto features that some dedicated exchanges support, eToro still offers beginners an excellent opportunity to test the waters and learn about the market. With a great set of features and a straightforward user interface, eToro represents an excellent destination for traders seeking to learn about cryptocurrencies, and a perfect path towards greater investment portfolio diversification sought by advanced traders.